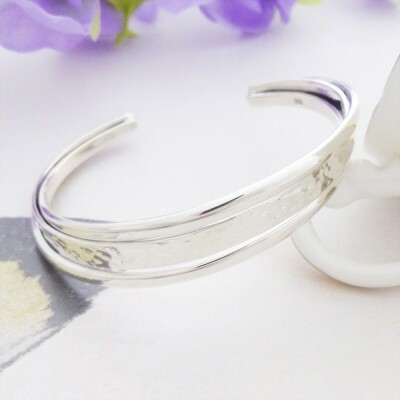 The Kiki Hammered Torque bangle is a gorgeous solid silver bangle featuring a hammered silver effect in the middle of two chunky silver pieces. 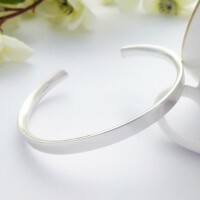 With it's funky overlapping design, this really is a fabulous hammered torque bangle which is unique and super stylish! 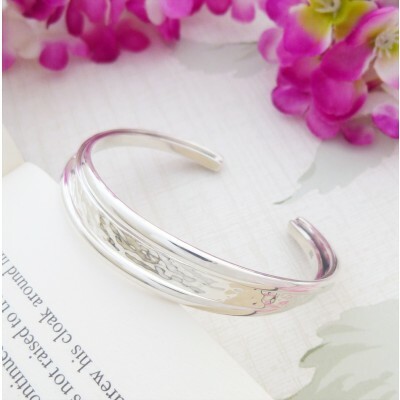 We at Guilty Bangles adore this stunning solid silver torque bangle with it's hammered effect detailing. It is a beautiful chunky torque which has a lovely, weighty quality about it. 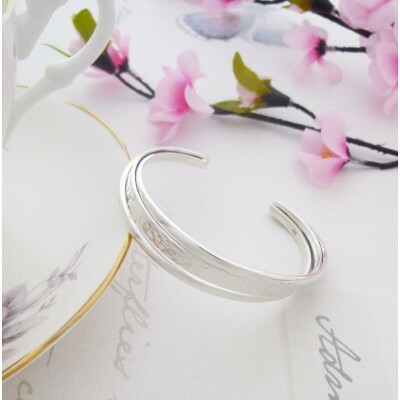 It has been hallmarked in the UK and measures approximately 13mm wide at it's widest point. The Kiki torque measures approximately 60mm in diameter and 13mm wide. Hammered effect torque with unique overlapping design. 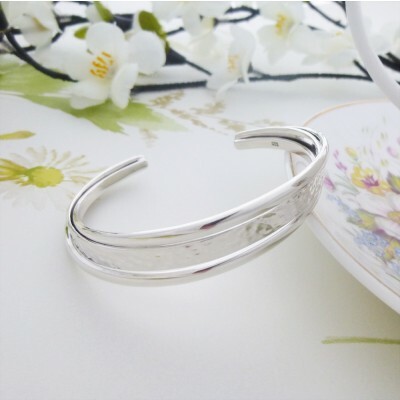 Solid silver toque bangle, Hallmarked in the UK.